UK car output in October rose 17.4% year on year to 160,854 units, for the largest monthly increase so far this year. 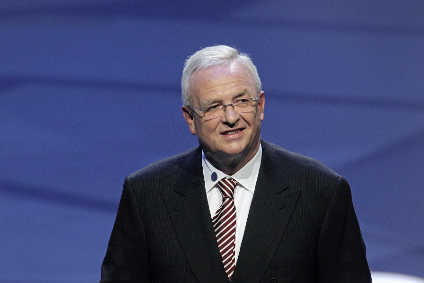 Automakers have built 1,286,287 cars year to date, a rise of 5.4%. Manufacturing for local sale was up 52.4% and exports rose 11.4%. Around 50% of UK car exports go to Europe – after months of decline, EU demand shows signs of improving, now recording two consecutive months of growth, the Society of Motor Manufacturers and Traders (SMMT) said. “UK car manufacturing for the home market increased strongly in October raising the year's performance 26.6% ahead of 2012,” said chief executive Mike Hawes. In contrast, commercial vehicle production fell 33.8% to 7,825 units. Year to date output was down 19.9% to 75,484 units. 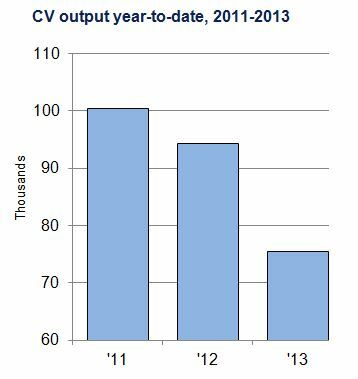 “The downward trend in CV production continued in October, given continually low levels of demand across the EU combined and structural and model changes in the UK,” said Hawes. Posted at 07:16 on 21 November 2013. 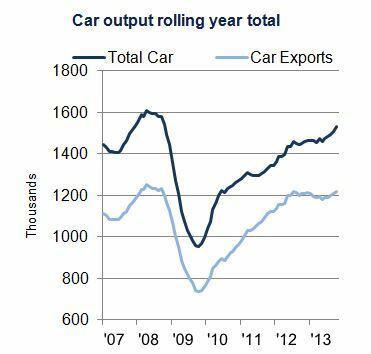 Car output in October rose 17.4% to 160,854 units, the largest monthly increase so far this year. 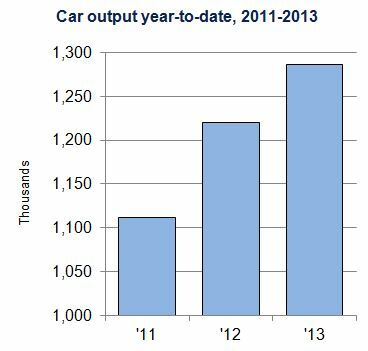 1,286,287 cars produced in year-to-date, a rise of 5.4%. Manufacturing for home market up significantly at 52.4%, while export growth strong at 11.4%. Around 50% of UK car exports go to Europe – after months of decline, EU demand shows signs of improving, now recording two consecutive months of growth. 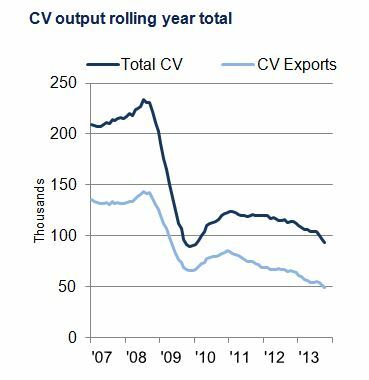 7,825 commercial vehicles (CV) produced in October, a decline of 33.8%. Output for 2013-to-date down 19.9% to 75,484 units. Bus and truck manufacturing is bright spot, but overall outlook remains gloomy for the rest of the year. 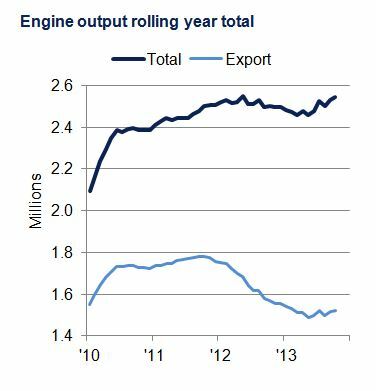 UK engine output grows 6.5% in October to 254,480 units. 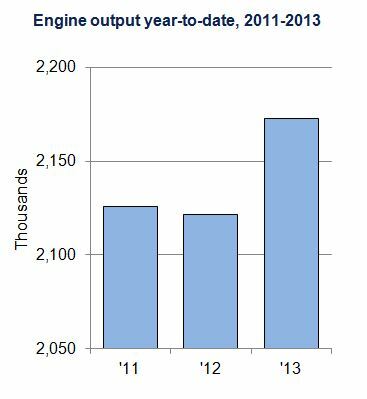 2,172,775 engines built in 2013, representing a steady 2.4% growth. Production for domestic market fuels growth, while exports remain steady in month and year-to-date.